HUGE Adoption Event THIS WEEKEND! Mark your calendars and join us for our next HUGE adoption event for PetSmart Charities National Adoption Weekend! The dog in the picture above is Scooby, and was one of our Dolly’s Dream dogs. He spent a month patiently waiting at our Sanford Location for his forever home, before getting adopted last week! Dolly’s Dream is a project to encourage the adoption of our “Square Heads” and to help counter the unfortunate stereotypes and myths that some people still believe about these dogs. 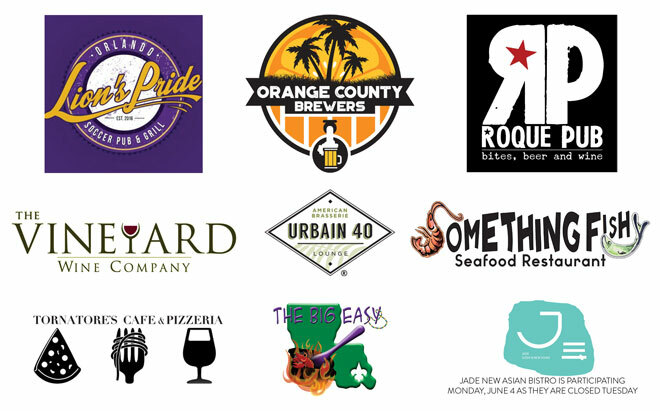 On Tuesday, June 5, 2018, restaurants from all of Central Florida are coming together to support Pet Alliance of Greater Orlando! Dine at any of the restaurants below on Tuesday, June 5 and they will donate 15% of the proceeds to us! 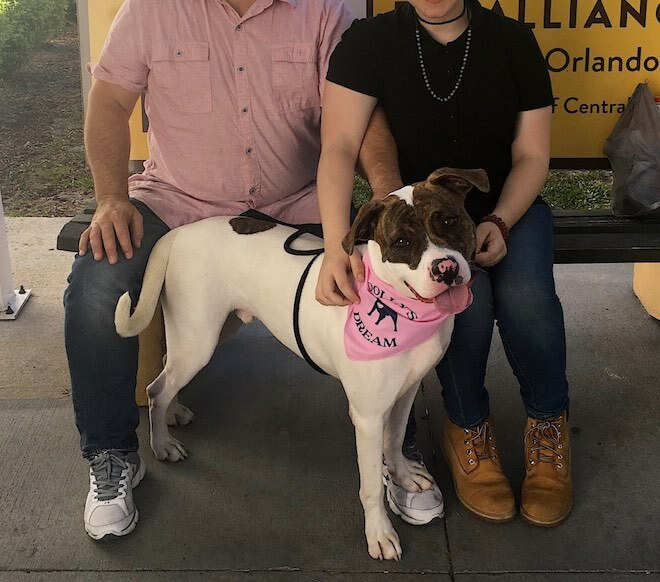 The Aloft Orlando Downtown and Pet Alliance of Greater Orlando are teaming up to offer a unique foster dog adoption program. 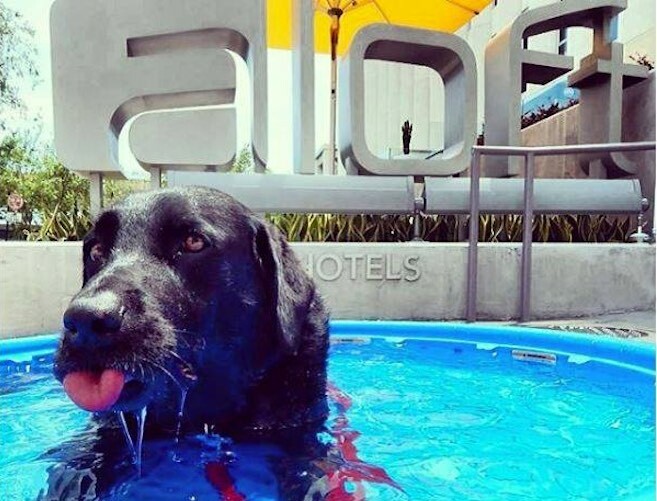 The Aloft will host dogs that are up for adoption from the Pet Alliance, in a customized enclosure in the lobby with a doghouse replica of the hotel, designed and donated by RLF Architects. This is a wonderful opportunity to place local dogs in their fur-ever homes, and we want to share the launch of this amazing program with you at our ribbon-cutting event! Join us for a Yappy Hour with dog-themed cocktails and a vibrant atmosphere, and help us kick off this life-changing program! 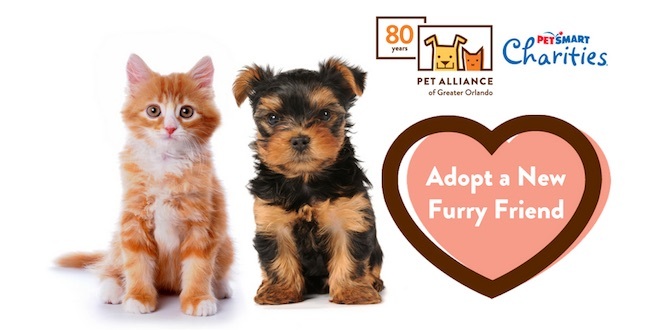 The Pet Alliance of Greater Orlando’s Spring and Summer Camps are designed for kids who love animals. 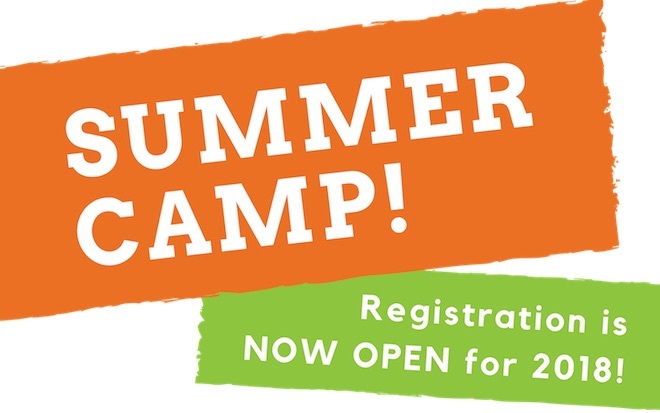 Campers will experience hands-on activities with shelter pets, gain knowledge from educational speakers, and enjoy animal-related arts & crafts, enrichment projects, games, and much more. 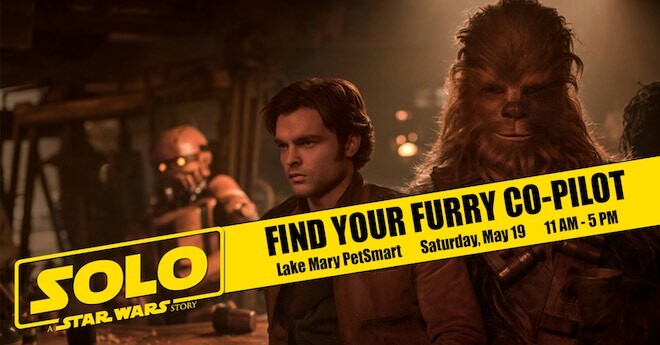 In anticipation of Han and his co-pilot Chewbacca’s first adventure together, visit Lake Mary PetSmart on Saturday, May 19 to find your own furry co-pilot and to receive SOLO: A STAR WARS STORY themed prizing including passes to the advance screening while supplies last! This will be the same day that we’ll be having the HUGE tent event that day with TONS of dogs and cats up for adoption! SOLO: A STAR WARS STORY is in theatres May 25! Image and logo ©2018 & TM Lucasfilm Ltd.